Corlim Gardens is a newly acquired project with close to 96 apartments open for sale. 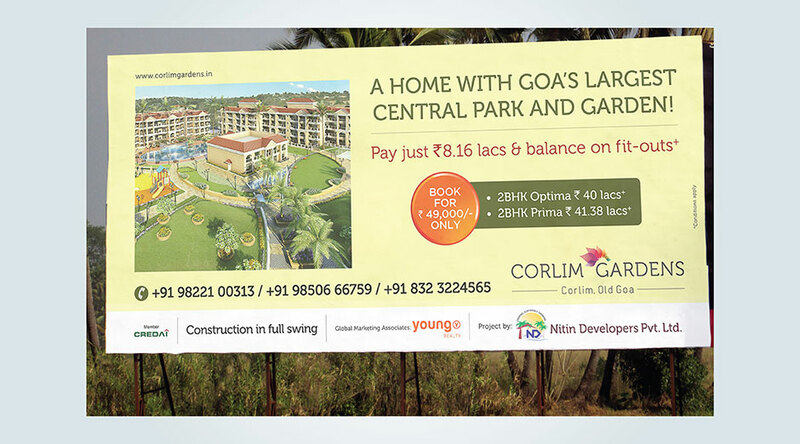 The project is beautifully tucked in an absolutely serene and green location called Corlim, on NH4A. 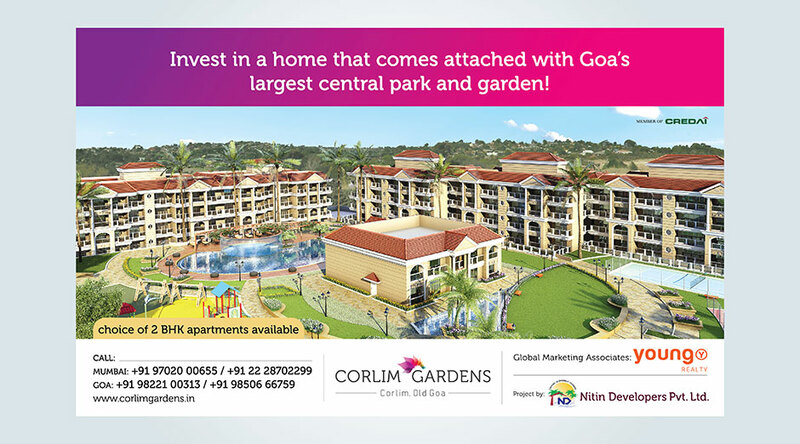 The project design has a huge central landscape area giving it the essence of Goa’s first garden living experience. 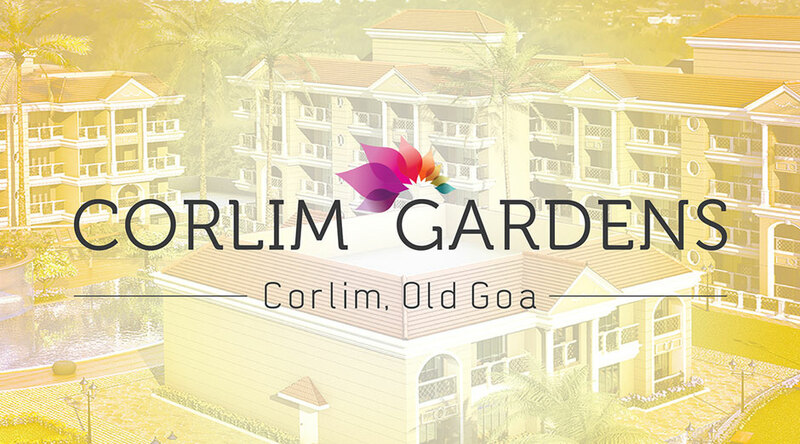 Accordingly the project is named “Corlim Gardens”. 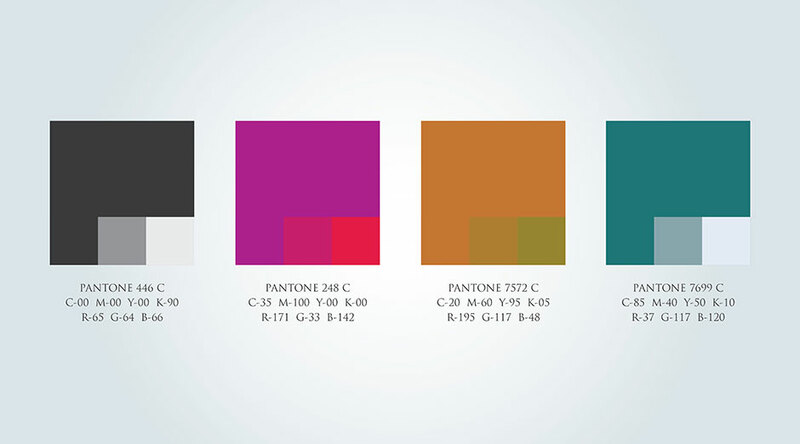 Based on the brand philosophy created for Nitin Developers Pvt. 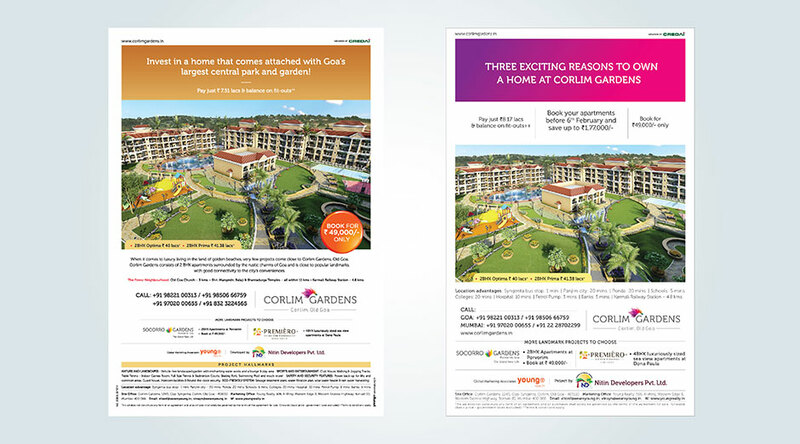 Ltd., the communication of Corlim Gardens is a natural extension of the successfully completed Socorro Gardens. 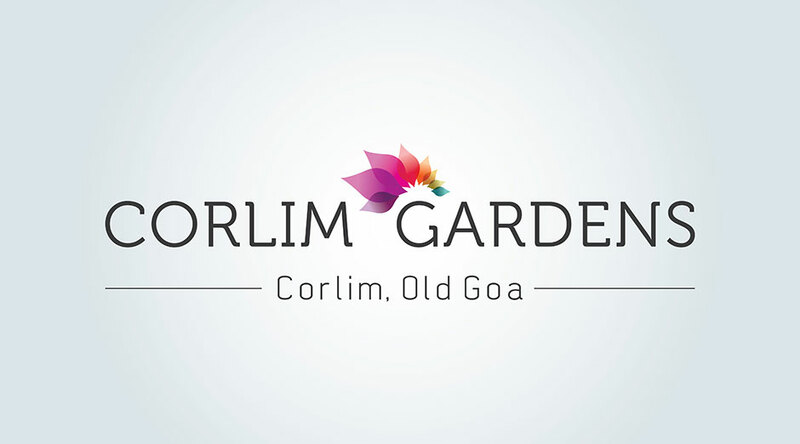 The vibrancy is again visible in the logo of Corlim Gardens. Similar to Socorro Gardens, YOUNG is also mandated with the duties of taking over the entire sales responsibility for this development. Corlim Gardens being in the development stage has seen good sales in the past few months. Sales are currently open and the outcome will soon be updated as the development moves hand in hand.